Telemetric Solutions | Pure Sine Wave Inverters, Powersonic Batteries, Battery Chargers, Battery Protector and DC to DC Converters. Powersonic 12volt Rechargeable sealed lead acid Batteries, ranging from 3.4AH to 12AH. Alfatronix DD Series DC - DC Voltage Converters and DDi Voltage Isolators. DD Series 9-32 volt DC to 6 volt DC Voltage droppers, 36,50 and 90 watt units. DDi Series 12 - 12 volt DC and 24 - 24 volt DC Isolators. Alfatronix Converters-24 to 12 volts DC. Alfatronix Converters-24 to 12 volts DC. Extensive range of converters from 6 to 30 amp, both isolated and non-isolated. Also a range of dual circuit 24v - 12volt converters. 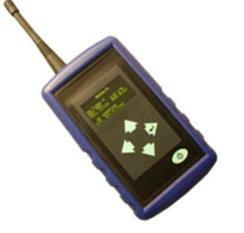 All carry a automotive EMC directive 95/54/EC. The PowerTector Battery Guard is a solid state device that will monitor the source voltage and disconnect the equipment from the battery if the voltage falls below a pre-determined level. This can work to ensure that there is always sufficient voltage remaining in the battery to start a vehicle engine or ensure power is available for other critical applications. There are six units in the range offering power options from 10A to 200A. All units are rated IP65 and come complete with up to 10 pre-programmed configurations to suit all likely battery protection requirements. The PT40 (40A) and PT60 (60A) units offer additional information inputs and outputs including on/off terminal, warning light/buzzer and programming. The PT100 (100A) and PT200 (200A) units offer in addition a manual override switch to re-connect short term power if required. TBS Electronics Smart Battery Chargers and Monitors. TBS Smart Battery Chargers, 10 - 60 amps. Universal Remote Control and Accessories. The latest power conversion techniques have been incorporated to set new reliability and efficiency standards. TBS Electronics Pure Sine Wave Inverters. Pure Sine Wave Inverters offer consistently high performance with all loads. 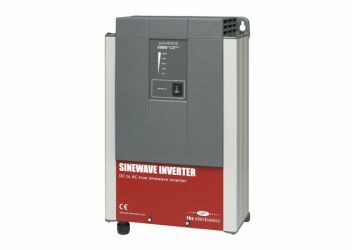 Powersine Inverters from 200 to 3000 Watts.